Let RowAmerica outfit your boathouse with custom-engineered storage solutions for launches, docks, and racks. RowAmerica’s all new 24′ waveless launch is designed to be faster and tighter-turning through the water with minimal wake, while providing a stable and comfortable coaching platform. Finally, a smart, reliable launch backed by RowAmerica’s renowned lead time and service. Feel free to download our wakeless launch brochure. 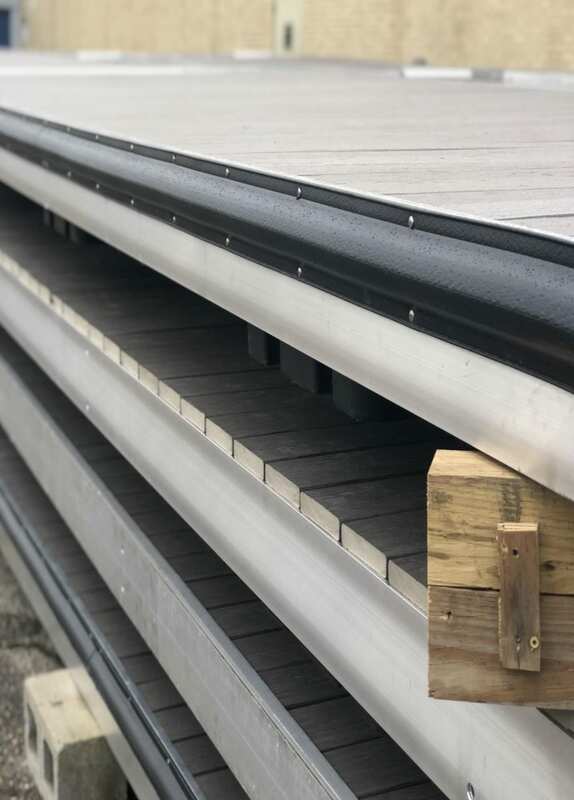 RowAmerica dock systems are designed with heavy-duty aluminum framing for simple installation and easy access to the frame and floats for adjustments. The decking is comprised of replaceable 2’x3′ non-skid, UV-resistant polypropylene tiles that come in various colors. 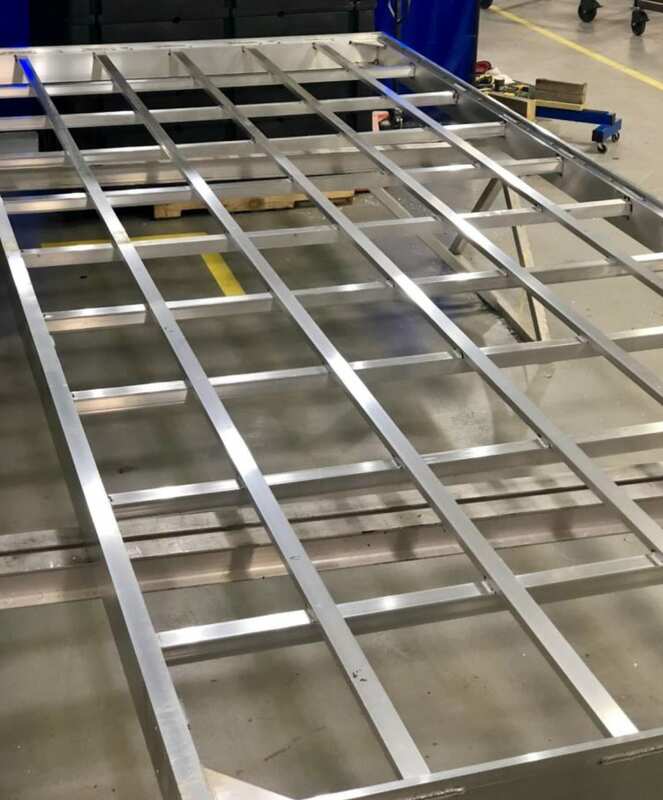 FRAME: The frame is made from 1/4″ x 1/8″ thick aircraft/marine grade 6061 T6 aluminum. 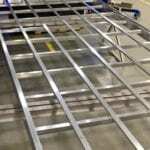 There are support beams every 2 feet with 2 welded gussets in each corner. FLOATS: The polystyrene filled polyethylene floats are 20″ W x 72″ L x 8″ H, weigh 45 lbs each, and allow for 6″ freeboard. 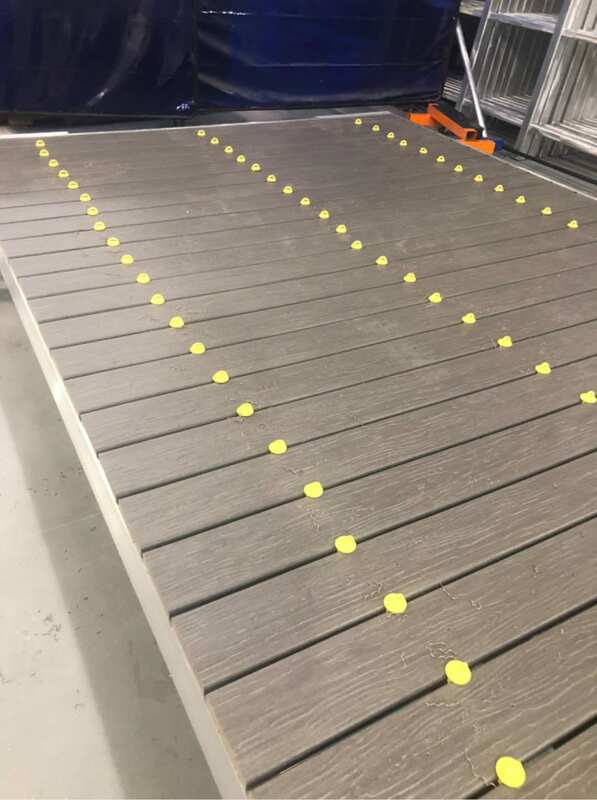 The floats are bolted to the cross beams with longitudinal beams on 16″ centers to provide support for the decking, support for the floats, and easy cleaning. 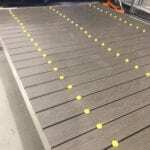 DECKING: The decking is premier waterproof composite with a lifetime warranty. We use 1″x6″ “cool deck” planks which dissipate heat in hot summer sun exposure. 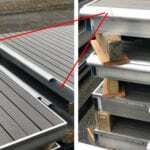 The planks are fastened with stainless steel screws with 3/8″ spacing. 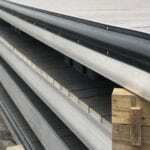 GUARD RAIL: The guard rail is commercial grade rubber with no lip to avoid rigger bolt damage. We use black for maintaining long term appearance. HINGING: The dock sections hinge together with a 3-piece piano-hinge made from 2″ steel pipe. 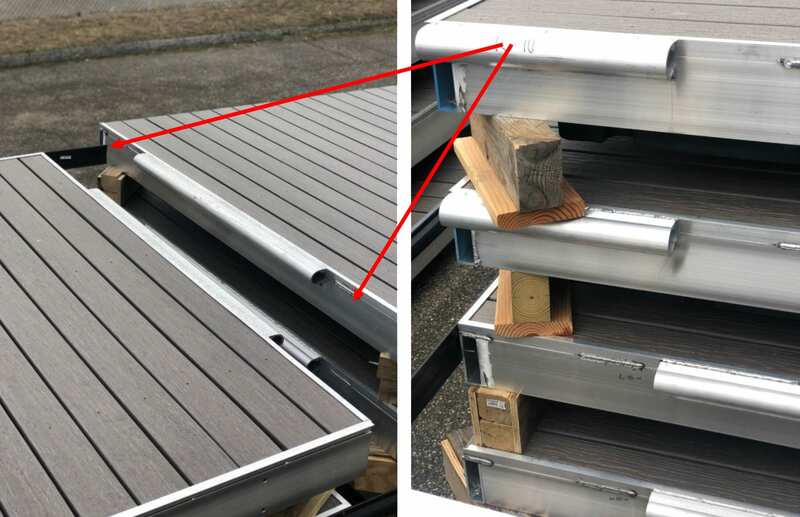 WARRANTY: Lifetime warranty on aluminum extrusions and decking. 10-year warranty on welds. 15 year graduating warranty on floats (100% coverage for years 1-10 | 60% coverage for years 11 & 12 | 30% coverage for years 13 & 14 | 15% coverage for year 15). Feel free to download our dock system brochure. 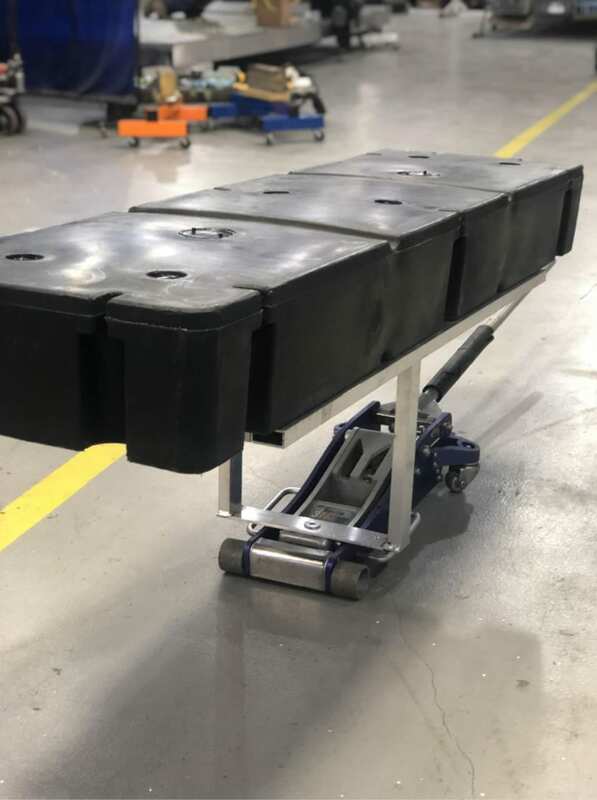 Ideal for both indoor and outdoor use, our boat racks feature use of aircraft grade aluminum, custom color powder coated finishes and the option of full customization for your specific needs. Both free-standing and rolling racks can be made as single- or double-sided, holding from 5 to 10 boats. 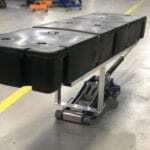 Rolling racks are ideal for 1x and 2x storage with their easily maneuverable wheel base. For product dimensions, color selection and optional configurations please view our boat rack brochure. RowAmerica oar racks hold the maximum number of oars in the least amount of space possible while maintaining accessibility — even in the back of the rack. Each oar is held securely in its own slot on a specially designed cassette, allowing removal of individual oars. Oar cassettes can be wall-mounted or mounted on our Free Standing Rack. For product dimensions, color selection and details on additional options please view our oar rack brochure. Copyright 2016 RowAmerica. All rights reserved.